China Mobile Hong Kong, a telecommunication corporation, held the grand opening of the China Mobile 5G Innovation Centre and Hong Kong Open Lab at Hong Kong Science Park on 17 Apr. OT Systems was invited to showcase their Mobile Surveillance Solution on excessive speeding prevention to conduct 5G test. 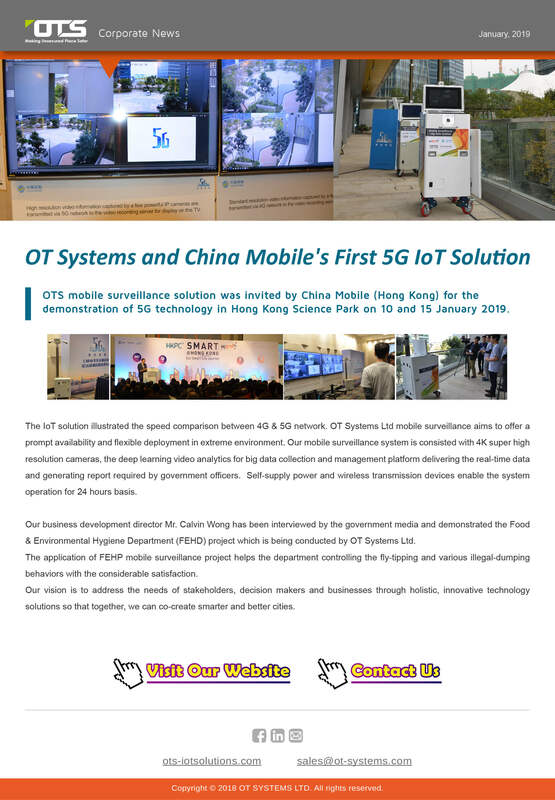 During the day, OT Systems set a mobile surveillance station in Hong Kong Science Park, the live surveillance video would send to the management platform at the Hong Kong Open Lab through 5G wireless network. Meanwhile, with AI deep-learning, the system could recognize related vehicle information such as vehicle type, speed and number plate, and determine whether there is excessive speeding. The bandwidth of 5G network could support the transmission of 4K ultra HD surveillance videos. It would increase the accuracy of AI analysis and transmission speed. 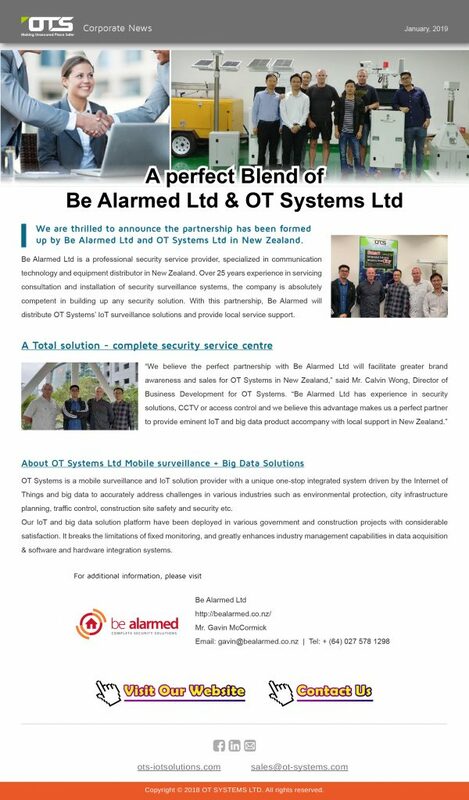 OT Systems is focusing more on the development of smart city solutions on mobile surveillance with AIoT and Big Data technology. Meanwhile, we will continue to try different new technology and development various smart city solutions proactively. We strive to facilitate the development of smart city and improve the quality of life in Hong Kong. Our IoT Mobile Surveillance - Rapid Deployment Security Solution for environmental protection, city infrastructure planning, traffic control, construction site safety and security, remote, and non-powered sites. 🏷️ Please join us for the rental or buying planning. Smart city has become a major trend in today's urban development, the monitoring system is also moving forward to a smart transformation. To reduce accident rate significantly, OT Systems has developed a unique mobile IoT solution, a one-stop integration solution which ensures the safety of staff and controls the access. greatly enhances industry management capabilities in data acquisition & software and hardware integration systems. Using deep learning to prevent accident effectively and promote the concept of public safety. Prevent accidents in workplace using different technologies. Set access control for staff with different positions and vehicles with different purposes, reduce the risk of robbery and theft; an alarm will be issued proactively to the safety officer when there is accident. Manage HR information, generate a report with big data on all safety-related incidents and personnel management materials for training planning and operations management, while making project decisions efficient with lower risk. Smart cities have become a major trend in today's urban development. The popularity of technology has greatly improved the quality of life of the people. It has also enabled the company to save costs from the traditional management model. As a hot topic in recent years, the monitoring system is also undergoing a smart transformation. OT Systems recently released "Mobile Surveillance + Big Data Solution", a set of artificial intelligence CCTV system with learning and judgment, integrated security system solutions for big data applications, widely used in construction sites and environmental protection, It can play a role in preventing crime and environmental sanitation and safeguarding the safety of citizens and society. The construction industry laid the foundation for national economic and social development. However, due to the limitations of the construction environment, poor management of equipment and materials, and a lack of public safety awareness, various problems often arise. In view of this, OT Systems' mobile monitoring system can improve the traditional monitoring problems, such as: high installation costs, insufficient mobility, damage to the construction site and a lot of human resources. OT Systems' "smart" solution provides three main prevention points for the construction site through intelligent video analytics and linkage warnings: on-site personnel building materials and management, labor safety and overall construction progress. Its monitoring system is highly mobile, simple to install, requires no power or network cabling, and supports 24 hours of uninterrupted video recording through multiple battery packs and solar panels. In addition, the system supports local signal transmission systems such as WiFi, 3G, 4G, LTN, etc., which is highly efficient and stable. It can be connected to an existing monitoring center through long-distance transmission or remotely monitored using a mobile application. The AI empowered ​​video analysis in it helps to monitor the image immediately. Through in-depth learning, filtering important information and automatic identification, such as: the number of people or objects, the appearance of people or objects, etc., improve management efficiency and flexibility of human management. OT Systems' systems can be tailored to the needs of different environments, such as airborne dust detection, noise detection, PM2.5, lighting, two-way voice and temperature and humidity detection. In addition, the OTS RD security solution can be reused multiple times. It also provides monitoring services for multiple sites during the same period to save on wiring and construction, teardown and maintenance costs. Accident prevention: Various techniques are used to effectively prevent accidents at the construction site, such as dangerous work, lifting safety, electric shock, and hardware equipment wear. Safety and Health Measurement: Institutionalized control and control of different job attributes of construction workers and vehicles of different purposes in and out, the robbery or theft that may occur inside the customs site, and the health status of the staff at any time. Personnel/Event Management Platform: Immediately verify worker qualifications and licenses through wireless sensing technology, and do not accept workers who do not meet the eligibility criteria. At the same time, it is also possible to save attendance or any fault records for reference inspection. Littering and illegal dumping of waste will not only damage the environment and affect the health of the public, but will also jeopardize Hong Kong's international image. In view of this, the Food and Environmental Hygiene Department has recently set up 80 mobile surveillance systems in 40 locations in Hong Kong through OT Systems. Through intelligent video analysis technology, government officials can be assisted in formulating corresponding policies, and relevant departments can be quickly assigned to the site for cleaning to improve environmental sanitation. 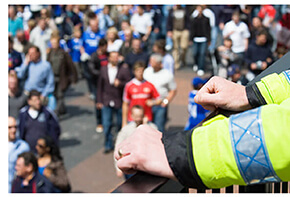 OT Systems' surveillance systems also have the ability to reduce the rate of crime. By setting up a monitoring system for crime hotspots, it can not only be vigilant and deterrent, but also 24 hours of uninterrupted video recording, storing the collected data in a local NAS or cloud, and also acting as a relevant law enforcement agency after the crime occurs. Provide evidence to reduce the chance of crime. Our Rapid Deployment Security Solution for construction, remote, and non-powered sites. 🏷️ Please join us for the rental or buying planning. OTS mobile surveillance solution was invited by China Mobile (Hong Kong) for the demonstration of 5G technology in Hong Kong Science Park on 10 and 15 January 2019. The IoT solution illustrated the speed comparison between 4G & 5G network. OT Systems Ltd mobile surveillance aims to offer a prompt availability and flexible deployment in extreme environment. Our mobile surveillance system is consisted with 4K super high resolution cameras, the deep learning video analytics for big data collection and management platform delivering the real-time data and generating report required by government officers. Self-supply power and wireless transmission devices enable the system operation for 24 hours basis. Our business development director Mr. Calvin Wong has been interviewed by the government media and demonstrated the Food & Environmental Hygiene Department (FEHD) project which is being conducted by OT Systems Ltd. 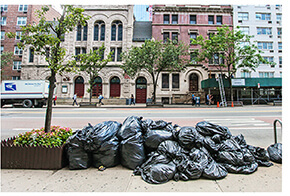 The application of FEHD mobile surveillance project helps the department controlling the fly-tipping and various illegal-dumping behaviors with the considerable satisfaction. Our vision is to address the needs of stakeholders, decision makers and businesses through holistic, innovative technology solutions so that together, we can co-create smarter and better cities.